How do I graduate or archive my class? Step-by-step instructions on how to graduate or archive a class. 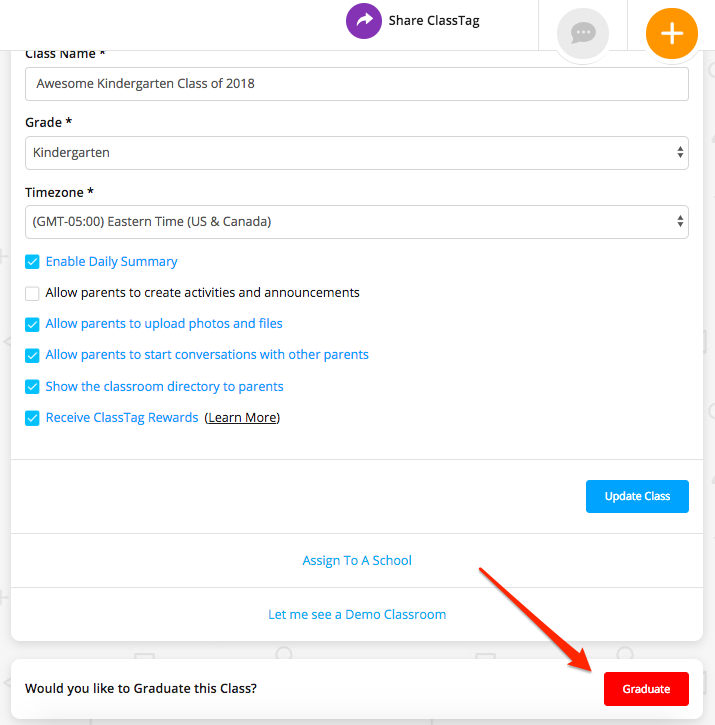 Graduating your classroom on ClassTag is a great way to keep all the information and memories accessible to the members without confusing them between the old "archived" class and the active new one. Click the "Class Settings" icon on the lower left side. 2. Scroll down and click "Graduate". 3. 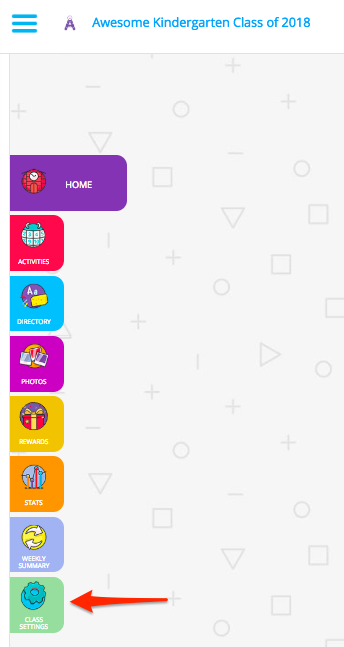 The next screen would prompt you to add a message or announcement that would go to parents' inboxes or simply proceed without entering a message. Depending on other communications you have shared, it might be a good opportunity to wrap up the class a last announcement or share this link with parents about how to access the archived class. Once done, click “Graduate”. 4. A pop-up window will appear where you need to enter your email address to ensure that you haven't tried to graduate the class accidentally. Please enter your email address and click on the "Confirm" button. 5. 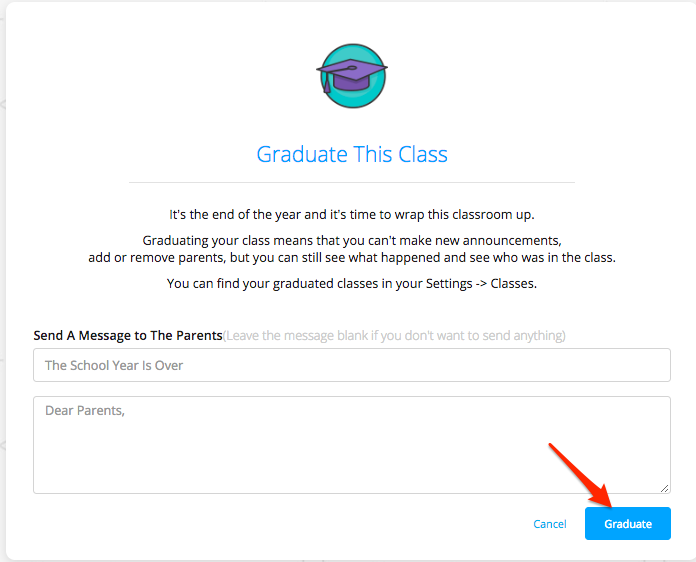 After confirming your email and clicking on the “Confirm” button, you will see the archived class with an “Archived Classroom” banner on the top right. This is the same view that parents would see for their respective view of the classroom. To visit your archived classroom please go into your profile settings from the left side navigation. How do I access previous/archived classes?